Somewhat of a hidden treasure, our beautiful gardens are a sanctuary and offer tranquility for relaxation, a quiet walk, or a snooze in the sun. Laced with pretty flowers, across the changing seasons you will see hazel, lavender, roses, acers, honeysuckle, magnolia, bluebells and many more. The comfortably furnished terrace offers al fresco dining and in warmer months guests enjoy a hearty breakfast outside whilst watching the haven of wildlife get busy for the day. Our furry and feathered friends have become quite tame and are happy to share the gardens with you, often providing you with entertainment. The lawns also offer croquet, badminton, table tennis and large chess for those who enjoy an activity or two. We are building a Butterfly House and separate Bug Hotel within the Walled Gardens. Our view is to have a bespoke Butterfly House within our Walled Garden close to the hotel. The Butterfly House will be full of tropical plants and a wide variety of beautiful tropical butterflies for viewing throughout the year. We expect to open the Butterfly House for our guests to enjoy in early Spring 2019. This is a very popular concept, particularly in France. The Bug Hotel will be constructed within our shaded woodland area in the garden and provides a variety of mixed chambers in which a wide array of interesting bugs will reside. Both the Butterfly House and the Bug Hotel will have photographs and descriptions of all their inhabitant. We anticipate that both these garden features will be open in the early Spring of 2019. 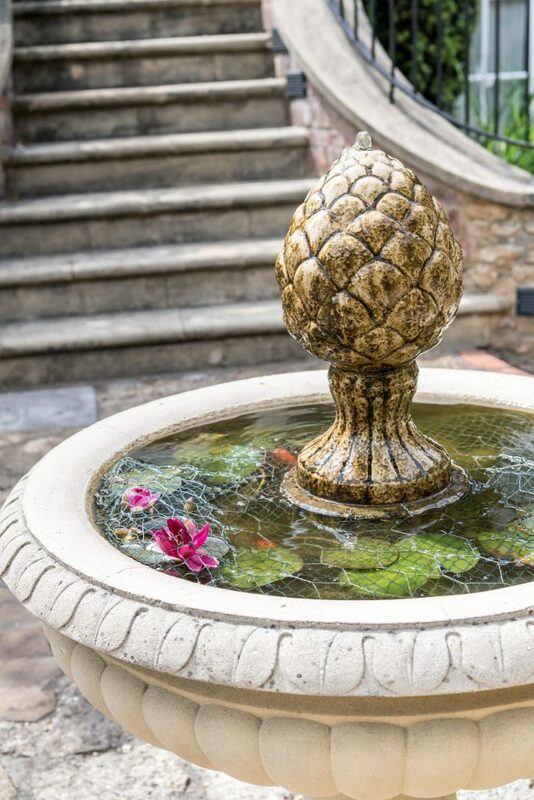 The Eastbury Hotel with its lovely garden is keen to exhibit as much as possible those things which are environmentally facinating and in harmony with nature for those who love garden and country life.